With self-drive holidays to mainland Europe on the rise and February half term just around the corner, it is not too late to book a family road trip with Stena Line and grab a great package offer to top Dutch cities. Hop across the North Sea and explore more for less this holiday with Stena Line. 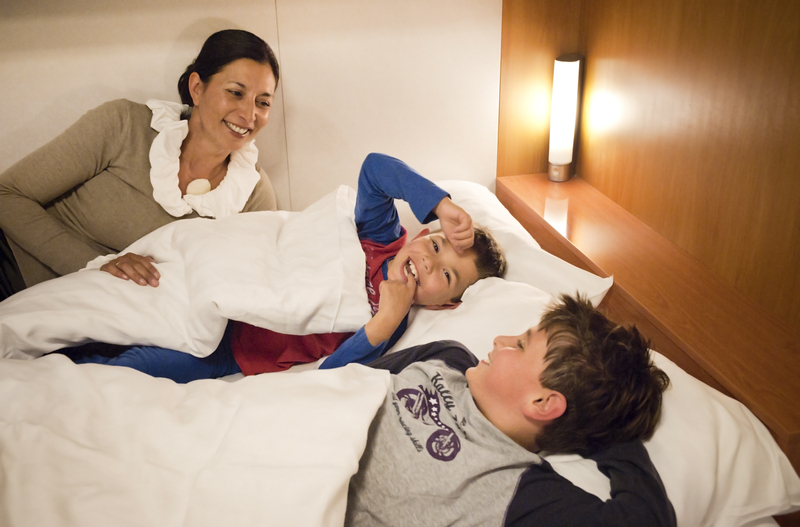 The luxurious Stena Line Superferries offer hotel-like facilities, including Swedish-designed Dux beds as well en-suite facilities and a flat screen television in the cabins. Families can enjoy the sea air from the ship’s deck, play some basketball on the court or enjoy a mouth-watering meal at the Metropolitan Restaurant. Catch the latest blockbuster in the onboard cinema before tucking into the most comfortable beds to sail across the North Sea with a range of cabins available to choose from. Wake up refreshed in The Netherlands for the action adventure in the day ahead. Escape to Rotterdam this half-term where there are numerous activities to keep the whole family amused. Reach new heights and see the city like never before with a visit to the top of the iconic Euromast. For those who like to shop, Rotterdam is a market lover’s paradise and because of the city’s strong trading links there is a market on somewhere across the city nearly every day; from vintage fashion to Dutch cheese, there are some real bargains to be found and they make a great place to purchase that all-important souvenir. Having travelled to The Netherlands by ferry, carry on the nautical theme by stepping onboard the SS Rotterdam, formerly a luxury cruise ship. The ship is home to multiple bars and restaurants, a museum, kids play area and even an escape room, for those looking for something a little more challenging! Delft is Holland’s treasure hove of historical relics and reserves. Families can explore the enchanted world of Oostpoort; the fairytale castle showcases the city’s rich heritage and was originally used to protect the city back in the 1400s. No visit to Delft – famous for its blue and white hand-painted pottery – would be complete without a stop at De Delftse Pauw. Dutch for “The Delft Peacock”, guided tours are available around this unusual factory showcasing exactly how this world famous pottery is made. As the third largest city in The Netherlands, The Hague is lively and animated with lots to do this half term. Chill out and have a picnic in Clingendael Park where the Japanese style flower garden is renowned for its beauty and tranquillity. For those travelling with young children, take a visit to Madurodam; this Miniature theme park is the ultimate place to discover what makes Holland so unique within a short period of time. Walk amongst miniature ca­nal houses, tulip fields, cheese markets, a wooden shoes factory, windmills, the Peace Palace, the Delta Works, De Haar Castle and even a miniature Hook of Holland port.